Medical errors that result in death inside a hospital are oftentimes caused by the neglect of healthcare professionals. According to CNN, medical errors kill more than 250,000 people every year in the U.S., which by some estimates could be “the third leading cause of death.” Examples of these types of medical malpractice include treating the wrong patient, accidentally leaving surgical tools inside a patient’s body, misplacing patient records, and waiting too long in the emergency room. However, one such disturbing trend of failure in American hospitals is the number of patients who die from sepsis every year. In fact, the CDC reports that between 28 and 50 percent of those who get sepsis end up dying from the illness. 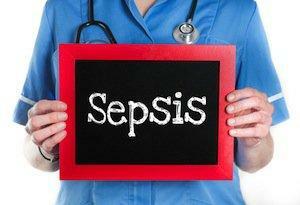 Sepsis is not an infection or a disease, but an illness that arises from an infection. Once the infection enters the bloodstream, it can spread rapidly through the body, and often result in the loss of muscle function, limbs, or organ failure. Despite several medical advances meant to curb the rate of infection and spread of disease, sepsis continues to be an unexpectedly severe issue. If you suffered from sepsis while in a hospital, or had a loved one die as a result of sepsis while in the hospital, you may be eligible for compensation. Do not go through it alone. 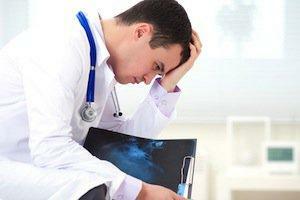 Contact an experienced Westport medical malpractice attorney to discuss your case today. When people hear the term “black box” they generally think of the device that is used in airplane disasters which crash investigators retrieve in order to help determine what caused a plane to crash. A black box consists of a cockpit recorder and flight data recorder. 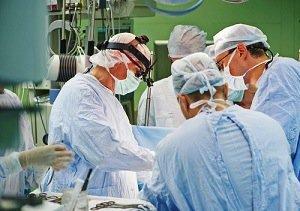 However, one Toronto surgeon believes that operating rooms should also have their own black boxes. Dr. Teodor Grantcharov, who works at St. Michael’s Hospital, has come up with a prototype black box and he has been utilizing it for all of his laparoscopic surgeries. In laparoscopic surgeries, doctors use small video cameras and surgical tools that are placed inside the body. They are considered “minimally invasive” compared to traditional surgeries. Dr. Grantcharov’s goal is to help minimize medical mistakes from occurring in laparoscopic surgeries. Several mistakes that may occur include perforations to the blood vessels, intestines or bowels. The black box that Grancharov uses records all the conversations taking place in the operating room during surgery, as well as records the footage from the video camera. It also keeps track of decibel and temperature and records an entire view of the operating room. Currently, when something goes wrong with a patient’s surgery, most hospitals have morbidity and mortality meetings which try to determine what happened based on the limited information they may available. But with the black box method, everything that occurred in the operating room can be viewed, much the same way professional athletes watch footage of games to see where certain plays worked and where they did not work. If you have had laparoscopic surgery that resulted in serious surgical errors or complications due to your doctor’s negligence, please contact an experienced Westport medical malpractice attorney to discuss any compensation you may be entitled to for pain and loss. The last analysis regarding an estimate of patient injury associated with hospital care was conducted in 1999. The study was based on data from 1984 and was completed by the Institute of Medicine. It concluded that almost 98,000 people died each year because of medical error. However, a more up-to-date analysis was recently completed using data from 2008 to 2011. The research team reviewed files from four different studies to determine if a patient adverse event (PAE) had occurred. They then took the PAEs (preventable adverse events) and divided them up into five categories. Those events that went into the commission group were events that were easily identifiable as something medical personnel did that should not have been done. This is where the 210,000 number was developed from and why the researchers put the actual number closer to 400,000—the number of events contained in the other four categories. Lack of good record keeping. Other studies have shown that many physicians do not report PAEs. One study in particular found that two–thirds of the cardiologists surveyed had recently not reported events they were aware had occurred. Dr. James writes in his report that not only do hospitals need to address the changes needed to stop these preventable medical errors, but patients too must become more involved in their own treatment. If you suffered an injury caused by a preventable medical error due to another’s medical negligence, contact an experienced Westport medical malpractice attorney to find out what financial compensation you may be entitled to for pain and loss.